This issue has been buzzing me for a while now since I started using the Linux version Google Chrome. For some reason, when I try to publish a comment on a blog post on google's blogger.com, I get nothing, absolutely nothing, the page just refreshes when I click the publish button. 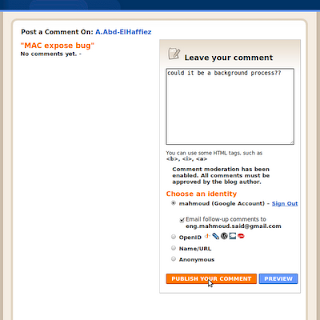 I have to move and open the page in Firefox in order to proceed posting my comment. I hope whatever the conflict was, that chrome team fix it on this beta version.